a. For Catholics, a need to ensure you are not excommunicated. The nature of the marriage ceremony itself needs to be looked at, because a non catholic ceremony will mean it is not recognised by the Church and will not prevent a communicant attending Mass or marrying in a Catholic Church in the future. Otherwise, annulment can be obtained, for example if there is non consummation or defect of consent. An application form can be obtained from your Priest to the tribunal, which is made of priests rather than judges. Appeal to Rome is possible and charges depend on circumstances. b. Jewish divorce requires similar consideration to a), as the civil divorce without a Get can have implications for your religious observances. It is essential that application is made for the Get as early in the divorce process as possible and that application pursuant to s10A Matrimonial Causes Act 1973 is made to prevent decree nisi being converted to absolute without the Get, as a husband can withhold consent to the Get even though divorce in the civil court is made absolute. The procedure is overseen by the Beth Din , the nearest being at Bury Old Road, Manchester. c. In Islam, the law of the religion is called Sharia and application for a Talaq or Khula can be downloaded from the Islamic Sharia Council. As with b) above, consideration should be given to application pursuant to s10A and you should ensure your solicitor read your marriage contract. The non payment of the dowry may be addressed as part of the case about finances under s25 MCA 1973. Please note that not all Islamic marriages are recognised in English Courts and the law applicable may be that for cohabitants. 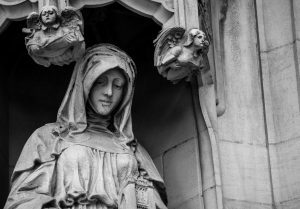 Religious aspects of divorce to consider in all instances when you are a person of faith must go in tandem with advice from a specialist family solicitor. This article was added on Monday, December 19th, 2016 at 10:44 am and is categorised under Cheshire News, Chester News, Divorce, divorce finances, Macclesfield News, northwich solicitors, Runcorn News, St Helens news, Warrington News, Widnes News, Winsford News. Both comments and pings are currently closed. Error: Error validating access token: Session has expired on Saturday, 09-Mar-19 13:12:58 PST. The current time is Thursday, 25-Apr-19 21:45:24 PDT.